If you were ever looking for a way to unlock your Mac using your iPhone or iPad’s Touch ID sensor, then this wonderful app for iOS – and its companion Mac app – is all you need to fulfill that purpose, and it has gone absolutely free for a limited period of time – $3.99 value. Head over the jump for further information on this awesome piece of software. Touch ID has proved to be a very convenient security measure on iOS, and its ability to incorporate with the Mac using apps is a golden plus, with MacID being one solution that has gone free for a limited time. Still a long way to go though, but for a start, you get to play with this tech for unlocking your Mac directly from your iPhone or iPad, and if that’s not enough, MacID lets you unlock not one, but multiple Macs with just one login from your phone or tablet. 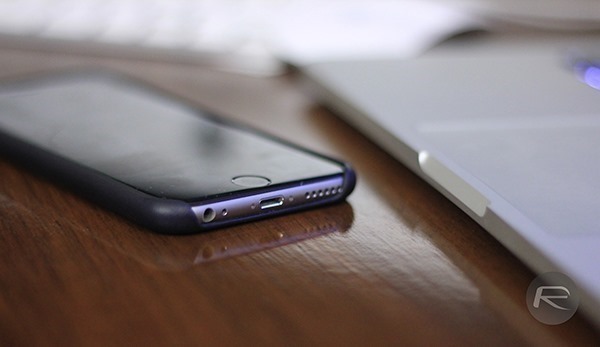 If Touch ID is not an option for one or the other reason, users can simply move to the alternative passcode method. Unlocking your Mac is not where the fun ends. MacID has a built-in notification system as well which notifies the user whenever a Mac is woken up and the user can easily choose to unlock the machine. More so, the client app on the Mac(s) will also analyze if a task on your machine requires a user password, such as changing system preferences, deleting or moving protected files and more, and will notify the user on the iOS device and ask for authorization. Apart from unlocking, MacID can also remotely lock a Mac as well when required. Other notable features include waking up the Mac on close proximity, auto-locking, clipboard sharing, audio-controls, and a neat and convenient Notification Center widget. There are other solutions available like MacID as well on the App Store. 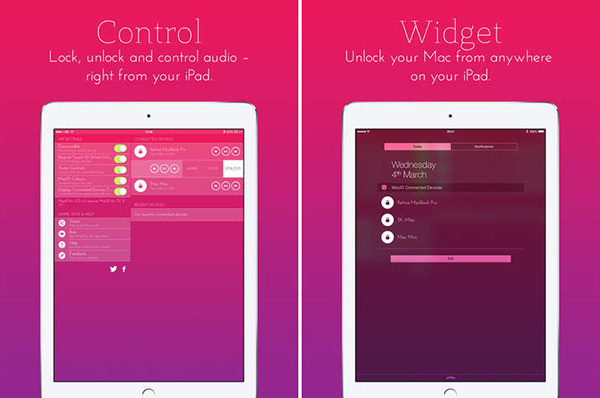 You can use TouchKey, which is free, or you can go for FingerKey that costs $1.99. 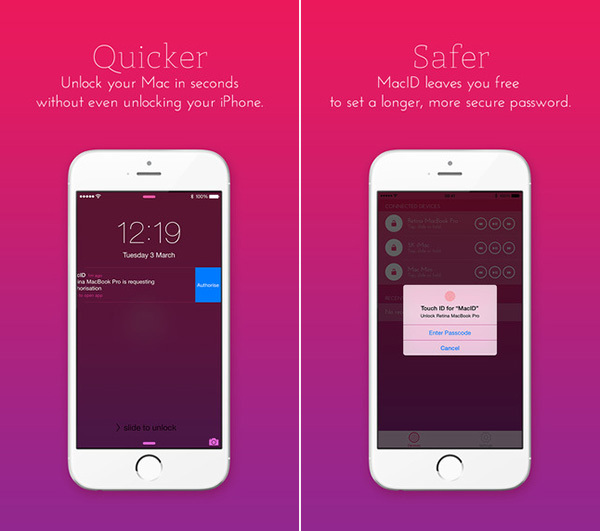 But MacID is worth trying over the rest, due to its extensive unlocking feature-set. And oh, it’s free for a limited time! Or I could just key in my password. Just trying to understand how this app adds value. For me, the phone needs to be unlocked for Macid to work. But ok even if I one doesn’t need to do 2 & 3, how’s a two step process involving another device easier. The most dependable սոⅼοсking site I know is just google atttiphoneeuunloockiing.